Why are losing to become a Topper, because of price issue? Click Here To add this book in your shelf. Engineering Mathematics plays important role when you are in top (let’s say 1000) candidates. at that time one question right or wrong makes difference of 1 or 2 marks, and this leads to significant difference in GATE score & Ranking. So the moral is that prepare maths very well. 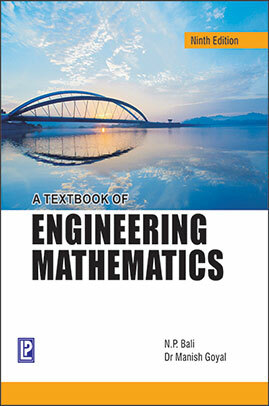 The underlying object of this book is to provide the readers with the thorough understanding of topics included in the syllabus of Mathematics for engineering students. It exactly covers the prescribed syllabus. Nothing undesirable has been included and nothing essential has been left. Its approach is explanatory and language is lucid and communicable. The exposition of the subject matter is systematic and the students are better prepared to solve the problems. All fundamentals of the included topics are explained with a micro-analysis. Maximum number of solved examples have been given to let the students understand the various skills necessary to solve the problems. These examples are well-graded. Unsolved exercises of multi-varieties have been given in a well-graded style. Attempting those on his own, will enable a student to create confidence and independence in him/her regarding the understanding of the subject. Daily life problems and practical applications have been incorporated in the body of the text. A large number of attractive and accurate figures have been drawn which enable a student to grasp the subject in an easier way. All the answers have been checked and verified. Maths is one section of GATE that can make or break your result, since it has a weightage of 15 marks, that is HUGE. Maths is something which we all study in first and second year of engineering invariably. And also, most of us dread about the subject. Mathematics syllabus of GATE is more or less in line with the college syllabus. Talking about the difficulty level, it is moderately difficult. That is to say, it’s not very easy but not very tough either. How you should study to get AIR 1 in GATE Mathematics?